Perceptions. Neuroscientist Beau Lotto blows my mind. 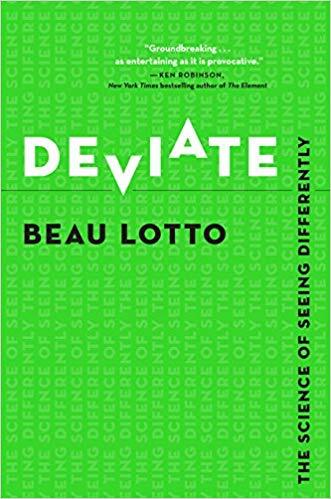 In his book titled, Deviate: The Science of Seeing Differently, he explains how our brains have not evolved to see things accurately. It’s all about perceptions, and Lotto explains how that part of science operates. Finally, we can appreciate why others see things differently! Perception is subjective. The book is packed with optical illusions that support Lotto’s messages. Rating: Four-star (I like it) Click here to purchase Deviate from amazon.com.